This roadmax Power Shovel by Bruder has a cab that opens up, so you can put in a driver if you like! The cab swivels around 360 degrees. The Shovel is fully functional and the Blade adjusts up or down. 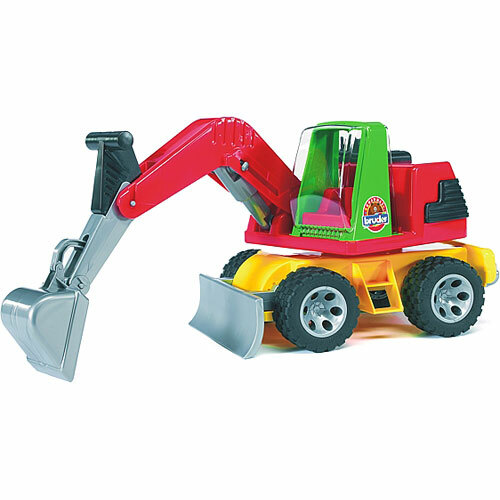 This Power Shovel comes with soft rubber sculptured tires. The cab swivels around 360 degrees. The Blade adjusts up or down. 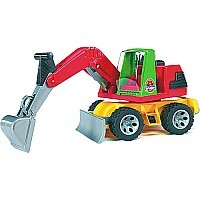 Power Shovel comes with soft rubber sculptured tires. Measures approximately: 23.00 x 6.63 x 6.63 inches..